I'm so excited to see Katie & Nat's wedding featured on Style Me Pretty! These two were so relaxed on their wedding day and clearly head over heels for one another, a combination which made them so much fun to photograph! 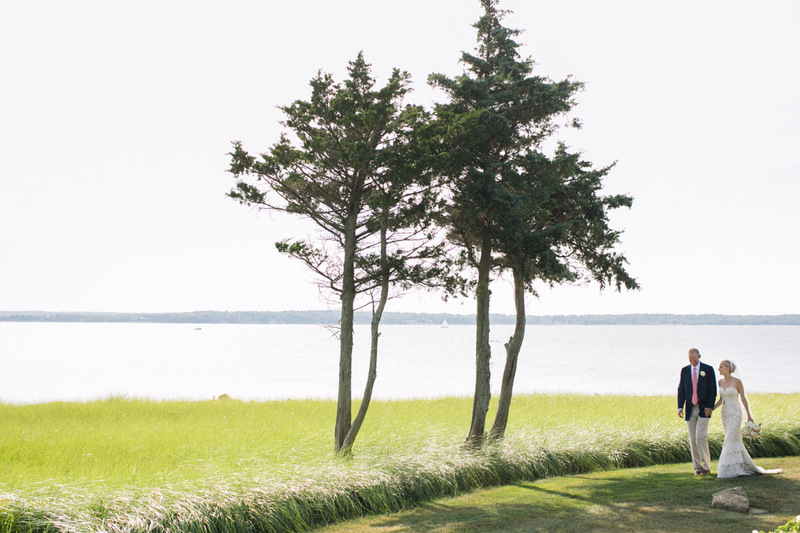 With the ceremony overlooking the Atlantic on the lawn of their family's home in Marion, and a tented reception across the street at The Kittansett Club, Katie & Nat created an elegant wedding with a casual feel. There were also tons of fun little handmade details and thoughtful touches throughout the day, such as handmade paper sailboat place cards, sunglasses for all the guests to enjoy and Nat's custom embroidered belt, made by Katie herself!